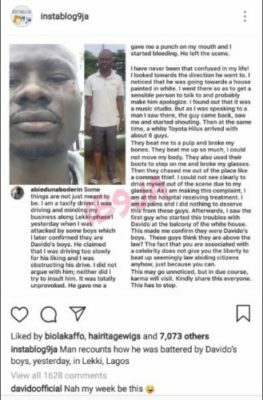 In the early hours of today, news circulated on social media accusing Davido‘s boys of battering and beating a Taxify driver who goes by the name; Abiodun Aboderin . The Taxify driver says he did nothing wrong to provoke the guys’ wrath. However, the DMW boss has laughed off the accusation with his comment under the post saying ”NA MY WEEK BE THIS”. 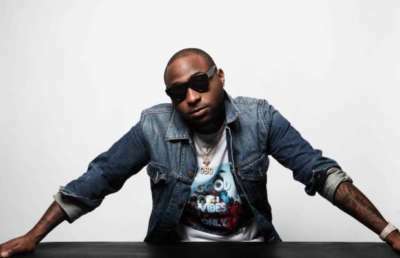 The comment could be in relation with the week his other music colleague; Wizkid was accused on social media for various moral decadence.